With all precincts reporting and 11,374 ballots counted of the estimated 12,500 ballots cast, the Yorba Linda recall of October 7, 2014, is clearly over – ironically on the 11th anniversary of the day that Governor Gray Davis was recalled on October 7, 2003. Republican Yorba Linda Councilmen Craig Young and Tom Lindsey have handily defeated their recalls 59%-41%, becoming the first Orange County officeholders to defeat a recall at the ballot box since Mission Viejo Councilman Robert Curtis beat back a recall on February 27, 1990 (and Mission Viejo was incorporated in 1988). Even if all ~1,100 outstanding ballots were cast in favor of the recall (which is impossible), Young and Lindsey are already beating their recalls by 2,000 ballots as it is. It was a resounding victory against the first recall election in Yorba Linda’s 47-year history. Recall proponents in the group Yorba Linda Residents for Responsible Representation (YLRRR) under the efforts of recall candidate Nancy Rikel submitted 9,000 signatures to qualify the recall, but could barely get half that number of people to vote in favor of the recall. As the numbers were counted through the course of the night, the numbers continued to grow stronger against the recall and against both YLRRR-backed candidates, showing poll voters even more strongly against the recall and the YLRRR-backed candidates than early absentee voters. As the campaigns for and against the recall wore on, the more the voters turned against the recall and its supporters. Shall Thomas H. Lindsey be recalled (removed) from the office of City Council Member? Shall Craig Young be recalled (removed) from the office of City Council Member? To add insult to injury for Rikel, early absentee voters had her leading in the race to replace Young 53%-47%. When all poll voters were accounted for, she was losing to anti-recall candidate J. Minton Brown, Jr., a complete political unknown until this recall election. As the campaign wore on, more and more Yorba Linda voters turned on Rikel. Candidates to succeed Craig Young if he is recalled. The one bright spot for YLRRR and the only minor dark cloud for anti-recall forces was in the election for the replacement candidate if Lindsey were recalled. 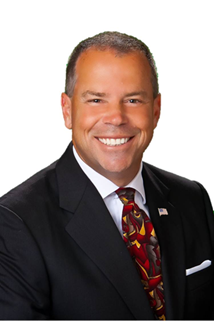 YLRRR-backed Jeff Decker handily beat anti-recall Matt Palmer. While neither Brown nor Rikel is on the November ballot, both Decker and Palmer are running for Council seats in November. Lindsey is also running for re-election in November; if the recall had succeeded, Lindsey would have only missed out on the final weeks of his current term, which expires in November. With Palmer unable to capitalize on the anti-recall wave in October against Decker, this does not bode well for him in November when he won’t even have the coattails against the recall available to him. YLRRR will likely continue to support Decker, but those who are anti-YLRRR will have to unite behind a different candidate with a better chance of beating Decker. Candidates to succeed Thomas H. Lindsey if he is recalled. While the percentages seem to show Rikel and Decker outperforming the recall, that’s not true when you look at the actual votes cast. More people voted for either recall than voted for Rikel or Decker. The numbers bare out one clear conclusion when looking at the anti-recall votes, a significant number of Yorba Lindans voted “No” on the Recall and refused to vote for any of the replacement candidates. Clearly, voters heeded the “No on the Recall” campaign’s clear message (avoiding the infamous and schizophrenic message of “No on the Recall, Yes on Bustamante” that confused anti-recall Democrats 11 years ago). For the first time in nearly a quarter-century, a recall in Orange County has been defeated at the ballot box. In early returns, Yorba Linda voters have overwhelmingly defeated the recall attempts against Mayor Craig Young and Councilman Tom Lindsey by a 58%-42% margin. In the now-moot replacement candidate race, pro-recall candidates Nancy Rikel and Jeff Decker led anti-recall candidates J. Minton Brown and Matt Palmer by 53%-47% margins. However, Rikel and Decker got fewer votes than Yes on the Recall did, so it’s quite likely a significant number of voters who opposed the recall refused to vote for replacement candidates. Young will be able to serve out his term until it expires in 2016. Lindsey will be able to serve out his term until it expires in November. Lindsey is seeking reelection on the November ballot. The Southern California Coalition of Business and Taxpayers (SCCBT) has recently established an Independent Expenditure (IE) on March 28, 2014 with a FPPC number 1365006. The SCCBT has already raised over $100K for the purpose of supporting and/or opposing candidates in state and local offices. On May 16, 2014, the SCCBT has spent resources at a total cost of over $13,000 on literature on behalf of Yorba Linda Mayor Craig Young and Yorba Linda Councilman Tom Lindsey. It is possible that this is just the beginning. All IE late contributions are require to report some activity with the Secretary of State and local clerk and in this case would be the Yorba Linda City Clerk. The Yorba Linda City Clerk has determined that the group seeking to recall Councilmembers Craig Young and Tom Lindsey has exceeded the 8,100 signatures requirement. Now, the Orange County Registrar of Voters will proceed to verify the signatures to determine the validity of those signatures whether or not it triggers a recall of the duo Councilmembers. The YLRRR (Yorba Linda Residents for Responsible Representation) has announced they have collected 9,670 signatures to recall Craig Young and 9,495 signatures to recall Tom Lindsey. Today, I am stepping away from my State Assembly race to focus 100% of available energy and attention on defeating the special interests working against Yorba Linda taxpayers. When I decided to run to succeed Curt Hagman in the State Assembly, it was to pick up where he will leave off fighting against the out-of-control state mandates and reckless spending in Sacramento. My desire is to stop policies like the early release of hardened criminals into our communities, to protect our property rights, and to stop the practice of raising taxes rather than making tough decisions. However, narrow special interests right here in Yorba Linda are working aggressively to undue the progress we’ve made moving our city forward – and they’re doing this at great risk and expense to our taxpayers. And for the first time your City Council is actively addressing the substantial unfunded pension, health and capital liabilities that will handicap our future. This is great progress and I am very proud to have been a part of the accomplishments. In fact I have never been more optimistic and energized about our future as long as we stay this course. While I feel there is much good I can do in Sacramento, I refuse to pursue that good at the expense of our progress here in Yorba Linda. My first commitment is to our community as an elected leader. Therefore, I am stepping away from the State Assembly race and focusing my entire attention on assuring Yorba Linda defeats the abusive recall and re-elects Tom Lindsey and another fiscally conservative councilmember this November. The State still needs fixing. Government is too big, too controlling, and way too expensive. However, there are now three candidates vying for the State seat and I have become convinced that within this full slate there is a candidate who will represent our conservative interests. But rest assured, while I am focused on making certain Yorba Linda is on sound footing, I will not lose sight of holding accountable those in Sacramento who are charged to represent us. I have been humbled by the support of so many people in Yorba Linda and throughout the area. There will be other opportunities for me to serve in different capacities, but at this time, my responsibilities as mayor takes top priority. Thank you for your support and thank you to all who continue to stand with me in protecting the rights, pocket books and quality of life of Yorba Linda residents. Campaign finance numbers indicate that voters in AD-55 can look forward to an obscene amount of mail in the run-up to the June Primary. Ling-Ling Chang wields one of the largest warchests of any candidate who will appear on the 2014 ballot anywhere in Orange County. However, Phillip Chen has more than double her cash on hand. Other than Yorba Linda Mayor Craig Young, every declared candidate in the race is a resident of Los Angeles County. This tri-county Assembly district contains portions of Orange County (Brea, La Habra, Placentia, and Yorba Linda), LA County (Diamond Bar, Industry, Rowland Heights, Walnut, and West Covina), and San Bernardino County (Chino Hills). Orange County is home to the plurality of all AD-55 voters and the majority of AD-55’s Republican voters. I will give Chen credit for actually spending his own money, as I did for AD-73 Candidate Paul Glaab who put in $22,000 of his own money. Chen put his money where his mouth is by donating $50,000 to his own campaign beyond the $100,000 loan he made to his campaign. State campaign finance regulations put that $50,000 forever out of Chen’s reach; it is nonrefundable, and he must spend it on the campaign. Chen was well aware of this regulation and properly reported the $50,000 as a contribution, not a loan. Chang, a Diamond Bar Councilwoman, had a strong showing in the first half of 2013, raising $195,348. Her expenditures were primarily for slate mailers and fundraising expenses. While her showing for the second half of 2013 was not as strong, her $40,217 raised outpaced every candidate in AD-74, AD-73, and AD-55, except for one. Unfortunately for her, the one is her opponent, Chen. Chang spent $31,503 in 2013 and has an additional $4,192 in unpaid bills. Once her $100,000 loan is accounted for, Chang has $172,267 cash on hand. Chen, a Walnut Valley Unified School District Trustee and a staffer for LA County Supervisor Mike Antonovich, entered the race late in the first half of 2013, so he raised nothing by June 30, except for his massive transfer of $219,000 on June 27 from his school board account (Outside of LAUSD, are there any school board members in Southern California who have ever had such a huge warchest?). 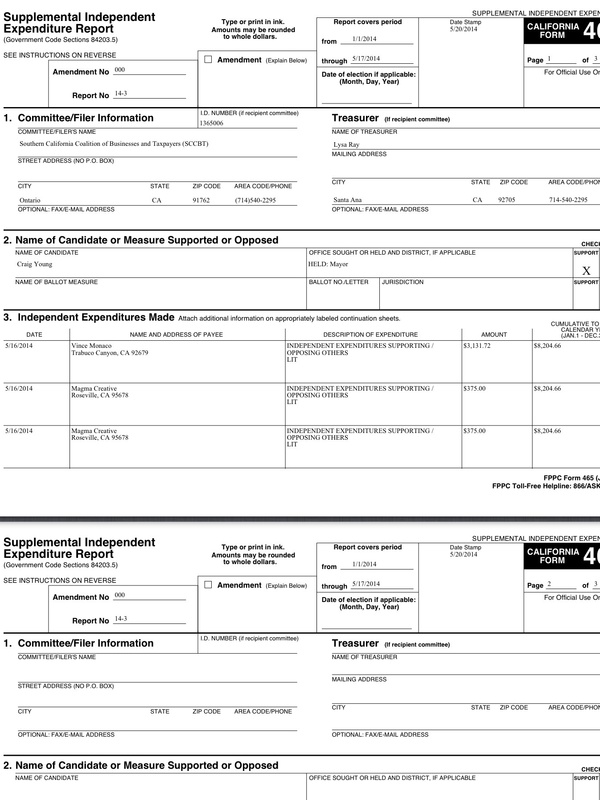 However, that entire sum was raised into his school board account from February 7-June 15, so presumably, his donors were expecting him to use that money to run for the Assembly, and indeed many of them gave him $4,100 (the maximum that can be legally donated for an Assembly race; school boards have no contribution limits). In the second half of 2013, Chen raised $141,242, transferred in another $3,000 from his school board account, and personally donated $50,000. He spent $53,833 in 2013 and has an additional $1,635 in unpaid bills. 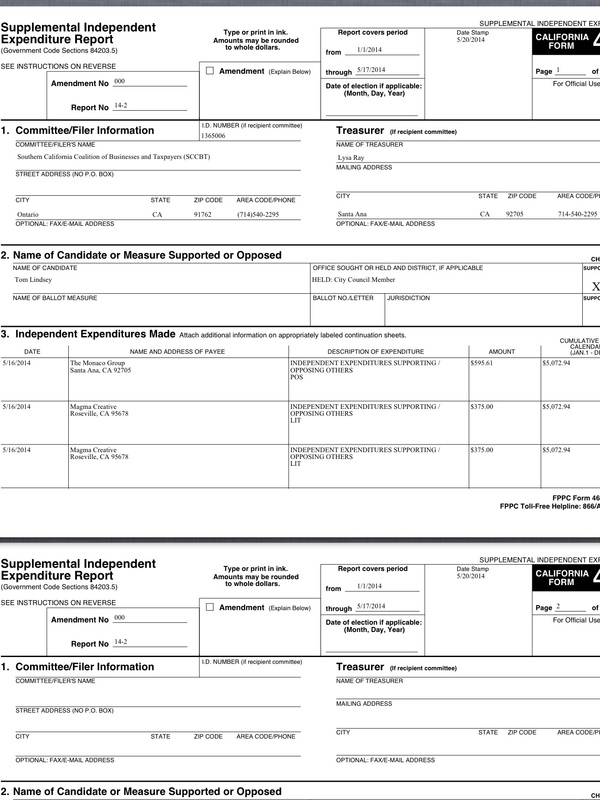 Chen’s expenditures ran the gamut, including campaign literature, slate mailers, consulting fees, and a poll. Once his $100,000 loan is accounted for, Chen has $357,974 cash on hand. Young, the sole Orange County resident in the race, entered the race during the second half of 2013, during which time, he raised $30,758 and spent $20,928, leaving him with $9,830 cash on hand. Young’s expenditures were nearly all consulting fees. He is the only candidate in the race who made no transfers, has no loans, and has no unpaid bills. Steve Tye, Chang’s Council colleague, entered the race after the last reporting period concluded, so no report exists for him. Chang, Young, and Tye no longer have to fear any more transfers from Chen’s school board account, which only has $1,696 left in it. Chang actually substantially outraised Chen for this Assembly race (her $235,565 for 2013 versus his $141,242), but she’s massively behind in cash-on-hand thanks to that absolutely massive school board account that Chen moved into his Assembly account. To demonstrate the shear size of the AD-55 warchests, I’ll compare them with the ones in AD-73 and AD-74. Chang raised more money in the first half of 2013 than all of the AD-74 candidates combined in the entirety of their campaigns, and she has more cash-on-hand than all the AD-74 candidates combined (even if you include all the AD-74 candidate loans and exclude Chang’s loan). Chang also has more cash-on-hand than all the AD-73 candidates combined. Keeping all of that in mind, now remember that Chen has twice as much cash-on-hand that Chang does. Clearly, AD-55 will be the glitziest Assembly race on the June 2014 ballot in Orange County. I hate to quote Rodney King, but it just fits. There are too many important races coming up this year and too much at stake to not take an early look at alignments, tactics and issues. In my little town of Yorba Linda, we have the usual onslaught, yes, already, of Republican on Republican verbal violence. It makes no sense, and literally everyone loses in such a battle. There is a movement afoot, to recall two council members. There is no allegation of abuse of power, of violation of law, of conflict of interest, sexual or moral misconduct, the gist of this movement is that they did not keep their campaign promises. Really. Shocking. Whether they did or didn’t, just shocking that such an allegation would arise. One of the Council Members targeted in the recall is up for re-election in NOVEMBER. Mark my words, the candidates and their supporters who are behind this, will run in November beating the drum of how they are the “real” fiscal conservatives. 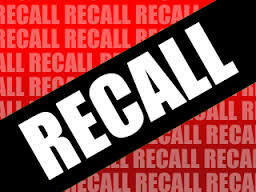 Please consider the cost of this recall effort. Even if it goes nowhere, the city staff still must count and review the signatures obtained and the application paperwork. Recalls should be reserved for serious and egregious conduct, not just because you don’t like who’s in office. That is precisely the situation with this one, as well as the last unsuccessful recall effort (that would be the ‘other’ side who tried that last cycle) The current recall literature is couched in terms of high versus low density zoning. This is a perennial issue in Yorba Linda which has existed as a very contentious one for more than two decades. News Flash: Nobody wants HIGH Density zoning. The proverbial, NOT IN MY BACKYARD attitude prevails. The best spin doctors on this issue, many years ago, used the term, “low income” housing. Which is confusing and lead people to have images of a Harlem style development, also formally known as Section 8 housing. Higher density does not mean Section 8 housing. The one true statement that appears in the literature from both sides is that it is gonna happen. The part that is not true, is each side attributing ‘fault’ to the other. The real villain in the scenario is Sacramento. The state mandates that the city have some land available for building homes that are “affordable”. Last time I checked that was the theory of housing for a family of four with an income of about $40,000 per year. We can’t be sure where the Sacramento brain trust came up with such an imaginary family, but I can assure you, regardless of what they build in Yorba Linda, it is not likely to be affordable for that family under any circumstances. The theory though, requires that the “density”, or the number of homes per acre, must be raised to more homes per acre than Yorba Linda has had historically, in order to satisfy this State mandate. If Yorba Linda does not in some way comply, there will be litigation. State of California vs. Yorba Linda, is not a case that I want to see filed anywhere. It is likely to be very costly and the bottom line is, Yorba Linda loses. I suppose there is a tangential argument (Translation of tangential: Ridiculous and unsuccessful) that we Yorba Lindans have a proprietary and constitutional right to all have low density zoning, anywhere and everywhere in our town because that is what we bargained for when we moved in here and paid all this money for our lovely homes. This has been tried before. The U.S. Supreme Court block busting cases, Kraemer, and it’s progeny, basically said what we all already know, our constitutional rights all have limits. All of them, even the ones related to ownership of property. Keeping people out on the basis on economic impediments is likely to go as well as keeping people out on the basis of race. Likely result of the litigation is the California law will be upheld and Yorba Linda will foot the bill for the whole fiasco. The city’s law firm, and the numerous law clerks who would work on the case would be imminently pleased to have learned so much about constitutional and municipal zoning laws, at our expense. So, if you think High Density will have a negative impact on your property taxes, just wait till City Hall gets our lawyers involved with litigation with the State and see what happens to our city’s otherwise bright financial future. The city’s coffers are not the piggy bank of politicians to take up and take on ridiculous issues for the purposes of keeping their names in the paper. Look around residents, it has become the status quo. Everytime you see a Yorba Linda politician in the paper or on the news it is usually NOT about an issue that has a close nexus to something that is in the best interests of the city. Everybody in the race this year is likely to be Republican. Everybody in the race this year is going to be waving the flag of being a “Fiscal Conservative”. PLEASE PAY ATTENTION to the spin, here because in general they are all SAYING THE SAME THING. We don’t want HIGH Density, but we DON’T want litigation either. We must walk this fine line between getting what we want and placating big brother. Anyone who is telling you something different, anyone who is blaming the other guys and saying it is THEIR fault and THEY broke promises, and I can give you the proverbial “chicken in every pot” (or a half acre for everyone in the case of Yorba Linda), well they are just not being truthful with you. The bloodsport of politics in the city of Yorba Linda is likely to be as ugly as any year prior. Be informed, tell the people standing in front of your grocery store that you are informed and that there presence is decreasing your property value as much as anything. The only thing to be gained by any of this posturing is to ruin some candidates and get attention for other candidates. We as citizens encourage this by tolerating and ignoring it. These ugly and contentious races have kept away good candidates and very much work to minimize public participation of those who fear retribution. I don’t know about you, but my intent is to be aware and not support the negativity and histrionic shenanigans of these people. We should all make that known to the candidates as they announce their candidacy in the coming weeks. As many were prepping for the holidays last month Yorba Linda Councilmembers Tom Lindsey and Craig Young were served with recall notice at the December 17th city council meeting. The signature requirement for the recall of Yorba Linda councilmembers is 20% if the registration is less than 50,000, but at least 10,000. The last report of registration by the county election officials to the Secretary of State was on February 10, 2013, which shows that there were 40,501 registered voters in Yorba Linda. The recall proponents will need to gather 8,100 signatures to mount a recall campaign against the two councilmembers within 120 days. Councilmember Lindsey was elected in 2010 and stands for re-election this November. Councilmember Young was elected in 2012 and stands for re-election in 2016 who is also running this June 2014 for State Assembly in the 55th Assembly District, which will be problematic as recall could hamper his Assembly prospects. Orange County Register reported late summer of 2012 the recall efforts of Councilman John Anderson failed because the proponents did not get enough signatures. TO THE HONORABLE Thomas H. Lindsey: Pursuant to Section 11020, California Elections Code, the undersigned registered qualified voters of Yorba Linda, in the State of California, hereby give notice that we are the proponents of a recall petition and that we intend to seek your recall and removal from the office of City Councilmember, in Yorba Linda, California and to demand election of a successor in that office. Broke his campaign pledge of low-density development. a. Voted against an urgency ordinance, which would have placed a moratorium on high density development and that would help further a ballot measure to eliminate or reduce high-density housing sites that include 4-story buildings with heights up to 50 feet. b. Refused to listen to concerned residents and deal harshly with the County regarding development of over 500 homes in fire sensitive land near the northeast corridor of the City. c. Lindsey’s vote to kill the high-density moratorium is an abandonment of his signed statement in his 2010 Contract with Yorba Linda, which pledged to voters that all infill development projects would be consistent with their existing and surrounding neighborhoods. Is fiscally irresponsible and unethical. a. Put the City at risk for a $19 million breach of contract lawsuit with the County and the Sheriffs Department in an ill-fated attempt to renegotiate Yorba Linda’s police services contract with the Brea Police Department, after the police contract was signed and approved by both the City and County. b. Participated in a public smear campaign of three fellow councilmembers, voting to publicly disclose confidential closed-session information used during the November 2012 election. It will cost Yorba Linda taxpayers tens of thousands of dollars in filing fees alone. This recall is a misguided attempt by a narrow special interest to bully council into adopting extreme policies that will hurt our economy, kill jobs and also cost residents hundreds of thousands in attorneys’ fees. A city-wide moratorium on new construction in response to this special interest group’s opposition is a disproportionate reaction we cannot afford. It’s the same kind of reactionary policy-making that takes place in Sacramento which is driving so many businesses from California. This recall is a reckless erosion of council’s independence from bullying special interests. It’s an intimidation tactic that sets a precedent on future councils’ willingness to do what is right for ALL residents, not bend to the will of special interests. I’m a low-density housing advocate who carefully negotiates as opposed to recklessly abandons the fiduciary responsibility owed taxpayers and I’m fully supportive of the diligent efforts by our Sheriffs. I’ve worked hard to help get our finances in order, already saving us millions in interest, and am disappointed this group would waste tens of thousands of taxpayer dollars on this unnecessary effort. TO THE HONORABLE Craig Young: Pursuant to Section 11020, California Elections Code, the undersigned registered qualified voters of Yorba Linda, in the State of California, hereby give notice that we are the proponents of a recall petition and that we intend to seek your recall and removal from the office of City Councilmember in Yorba Linda, California and to demand election of a successor in that office. a. Voted against an urgency ordinance, which would have placed a moratorium on high-density development and that would help further a ballot measure to eliminate or reduce high-density housing sites that include 4-story buildings with heights up to 50 feet. Betrayed the trust of Yorba Linda voters and his 4-year commitment to the community to serve on the city council. a. Declared his candidacy for State Assembly in August 2013 within just 8 months of being sworn in for his first term as a city councilman. Ironically, his November 2012 campaign statement specifically stated he had no hidden agenda and no axe to grind. We do know how much it costs. Did you know that ALL Yorba Linda taxpayers are paying over $100,000 a month to subsidize the underpayment of landscape maintenance fees by certain districts in the Landscape Maintenance Assessment District? These districts are supposed to be self sufficient and pay their own way. Craig Young and Tom Lindsey support these subsidies. Did you know that high-density housing has increased 70% in Yorba Linda and that it is decreasing ALL of our property values in the millions? There is absolutely no way a 4-story, 125 unit, multi-family apartment complex is going to increase property values adjacent to single-family homes. When presented with an opportunity to place a moratorium on high-density development so voters could correct high-density zoning issues, both Young and Lindsey cow towed to developers and voted against the moratorium. Did you know that Young and Lindsey put the City at risk for a $19 million lawsuit with the County of Orange because they both made an ill-fated attempt to renegotiate our police contract with the City of Brea? The City had a signed contract with the Sheriff’s Department and both Young and Lindsey were willing to violate the terms of that contract and pay more for police services from Brea. Lindsey and Young are costing our city millions. A recall is a drop in the bucket. In a handy tool for their State Assembly campaigns, AD-55 Candidate Craig Young became Mayor of Yorba Linda last night and AD-74 Candidate Matt Harper became Mayor of Huntington Beach on Monday night. Mayors tend to get more press coverage than councilmembers, as reporters are more likely to quote a mayor than a councilmember. Mayors get more of the spotlight at community events. Rather than asking five or seven councilmembers to speak at an event, most organizers will simply ask the mayor to speak. After all, people attending a community event would generally prefer to hear a speech from one politician rather than speeches from about a half-dozen politicians. At this point in the AD-55 race, Young’s opponents for the Republican nomination are Diamond Bar Councilwoman Ling-Ling Chang and Walnut Valley Unified School Board Member Phillip Chen. Chang will not be mayor during her Assembly bid, as Carol Herrera became Mayor of Diamond Bar last night. AD-55 Incumbent Curt Hagman is termed out. You can find previous OC Political posts on the AD-55 race here. Mayor Harper is the only elected official to have thrown his hat in the AD-74 ring as of this morning. 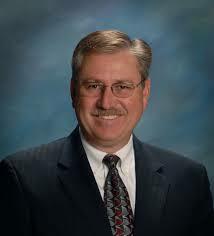 His two opponents for the Republican nomination are 2010 Laguna Beach City Council Candidate Emanuel Patrascu, whose day job is as District Director for State Assemblyman Travis Allen, and 2012 Santa Ana City Council Candidate Karina Onofre, whose day job is split between working for H&R Block and as a Field Representative for State Senator Bob Huff. AD-74 Incumbent Allan Mansoor is running for Orange County Supervisor. You can find previous OC Political posts on the AD-74 race here.